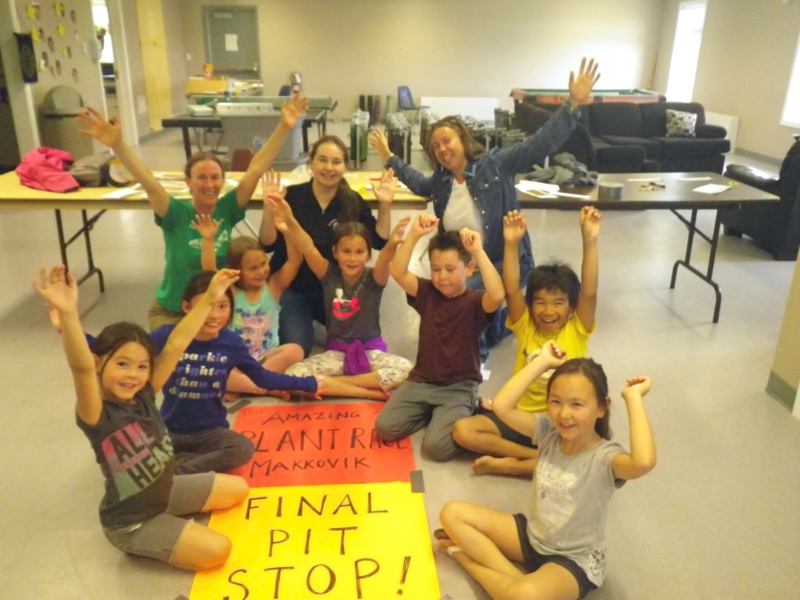 The Makkovik Plant Book Project has grown out of doctoral research that began in 2012. At that time, Makkovimiut (residents of Makkovik) identified research priorities on the topic of people-plant relationships, as well as priority research products that would be of benefit to the community. One of these priority projects was a book that would bring together the plant knowledge of Makkovimiut plant mentors and be a resource for the community. In November 2017, with support from the Tradition and Transition Partnership and the Labrador Institute, work on the Makkovik Plant Book formally began. Content for the book is based upon the contributions of 38 Makkovik plant mentors who have worked with Erica since 2012. The book development is guided by an advisory council of seven Makkovimiut plant mentors, who provide direction on book content and organisation, and who review and edit each chapter of the book. 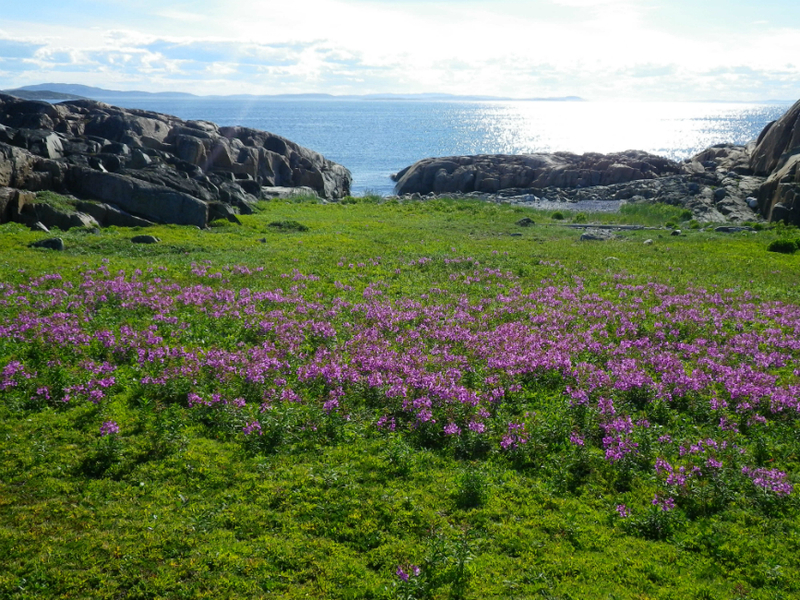 Plants are integrated into numerous aspects of day-to-day life in Makkovik. In addition to their importance in eating and drinking, berrypicking, and gardening, they also support practices such as fishing, hunting and trapping, travelling, wooding, and forecasting. Plants are part of celebrations, arts, healing, and playing. They’re also central to teaching and learning, connecting with special places, and caring for land and for community. The book includes chapters on these topics and others, as discussed through descriptions and stories in the words of Makkovimiut. To date, eleven chapters have been reviewed by members of the advisory council. 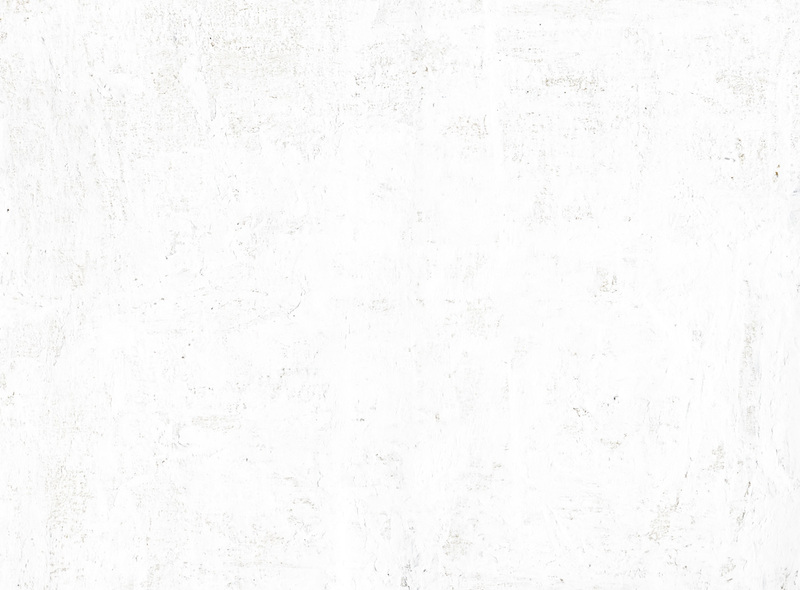 Additional chapters are in progress as we near completion of a first full draft in 2019. Plant mentors have not only contributed towards the book content and development, but have also been active in speaking about plant knowledge at international conferences, teaching Makkovik youth through children’s programs, writing peer-reviewed journals articles, and developing manuscripts for memoirs. 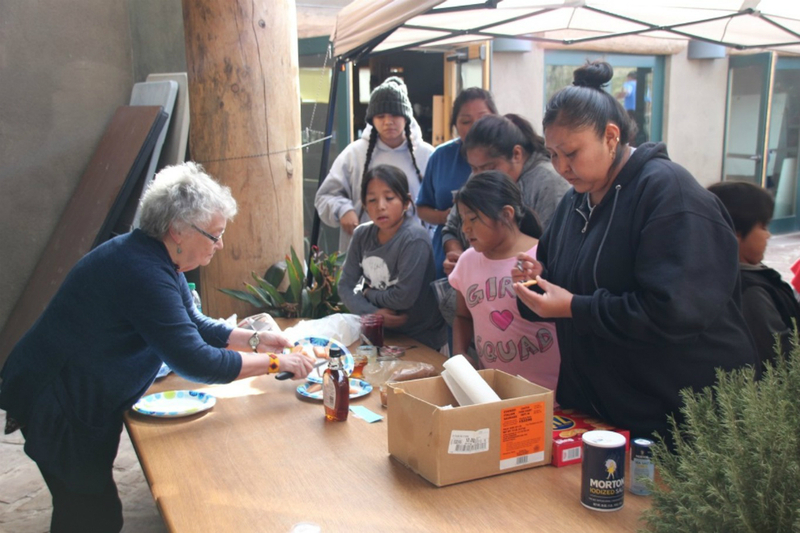 In November of 2017, Makkovimiut Elder Annie Evans and Elder Nellie Winters were invited to present at the Hualapai Native Food Symposium, hosted by the Hualapai Tribe, in Peach Springs, AZ (see Erica’s story, “Labrador Spruce and Ponderosa Pine”). 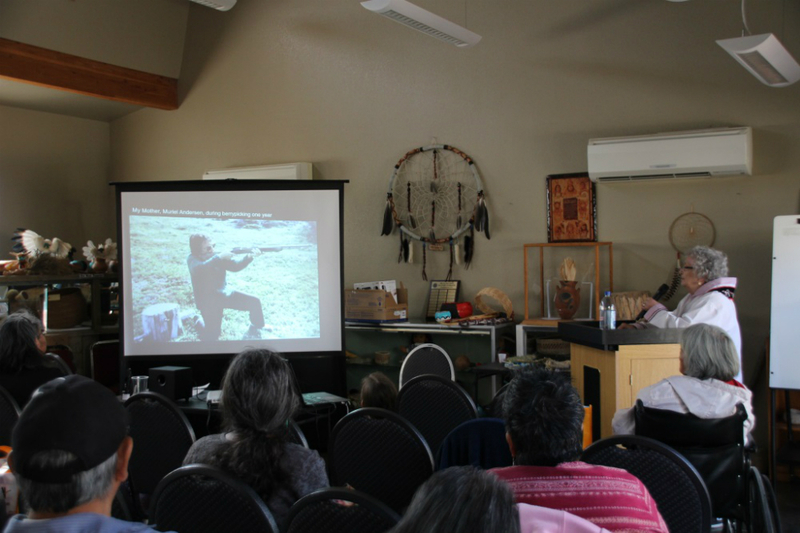 Elder Evans traveled over 5000 km to present a talk on traditional harvesting practices, and Elder Winters prepared an audio presentation that was delivered in her absence. Elder Evans also brought Labrador foods for symposium guests to enjoy, such as Arctic char, redberry jam, and blackberry jelly, served up on what may have been some of the first panitsiak ever made in the Mojave Desert. Talks written and narrated by Elder Nellie Winters and plant mentor Marilyn Faulkner were also presented in May 2018 at the Joint Conference of the Society of Ethnobiology and the Society for Economic Botany: Food security, sovereignty and traditional knowledge, in Madison WI. 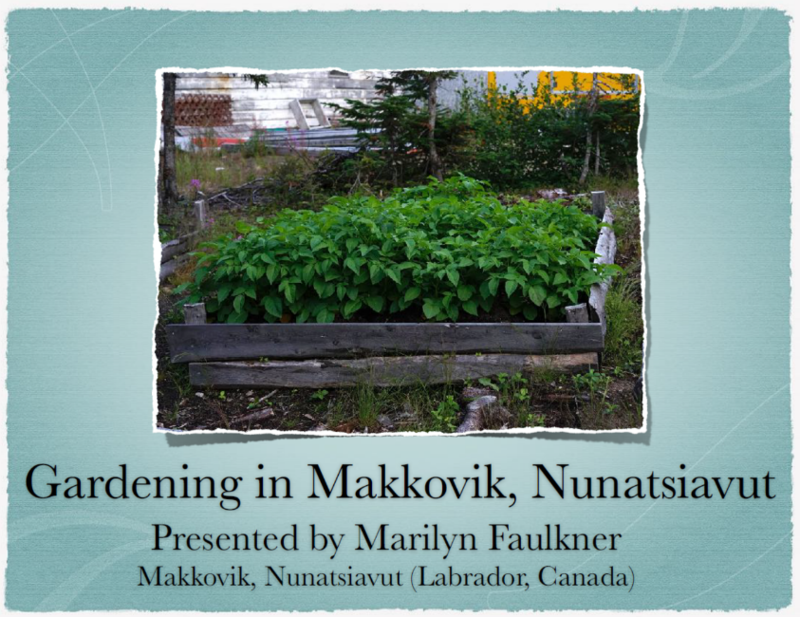 Elder Annie Evans attended in person to present her talk on harvesting and customary law, and Marilyn’s pre-recorded presentation introduced conference attendees to the challenges and successes of gardening in a sub-Arctic climate. A presentation co-authored by AngajukKâk Barry Andersen and research assistant Charlie Mae Dyson will be presented at the upcoming 42nd Annual Conference of the Society of Ethnobiology, in Vancouver (May 2019). Elder Annie Evans will be presenting an in-person talk on plants in a special storytelling session at this conference. 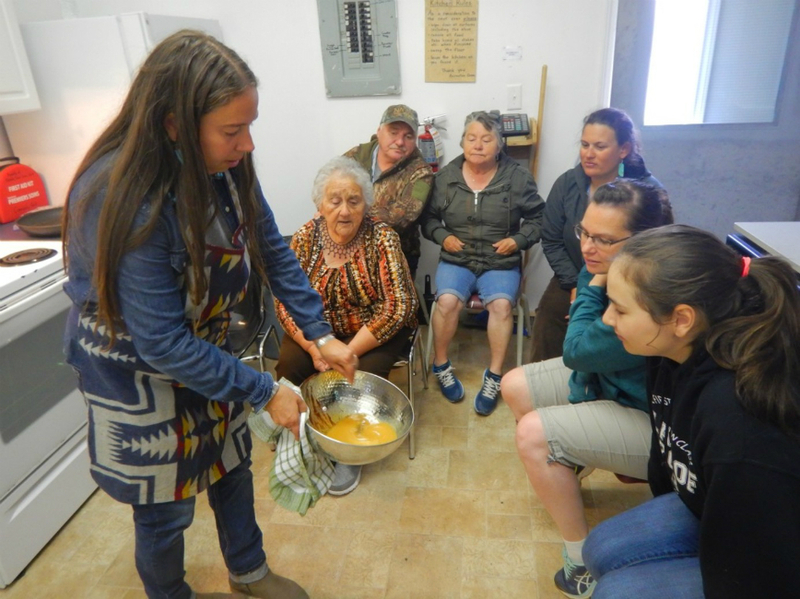 The Mojave Desert came to Makkovik in August 2018 aboard the Northern Ranger just in time for the 28th Annual Makkovik Trout Festival, with a visit from Hualapai Ethnobotanist Carrie Calisay Cannon, who hosted Elder Annie Evans the previous November at the Hualapai Native Food Symposium in Arizona. Carrie organised several programs for Trout Fest, including a talk and taste-testing of desert plants, and a workshop on tree medicines. She was warmly welcomed with an avalanche of supper invites for her first taste of seal, partridge, and porcupine, and was instructed in the finer points of smoking trout by Lori and Randy Edmunds. We thank Carrie for completing the northward part of this cultural plant knowledge exchange! 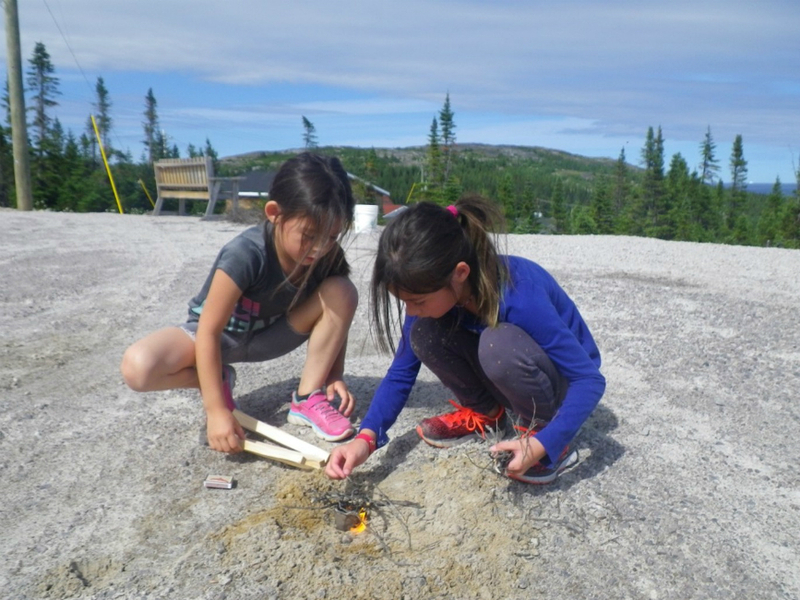 Trout Fest kicked off with The Amazing Plant Race Makkovik, with three youth teams racing to complete challenges in plant puzzles and poetry, Inuttitut plant names, and successful fire building supervised by Fire Marshall Barry Andersen. What an incredible effort by these three talented teams, and so much fun! Thank you to Barry Andersen, Marilyn Faulkner, and Charlie Mae Dyson for their leadership and for making it all possible. 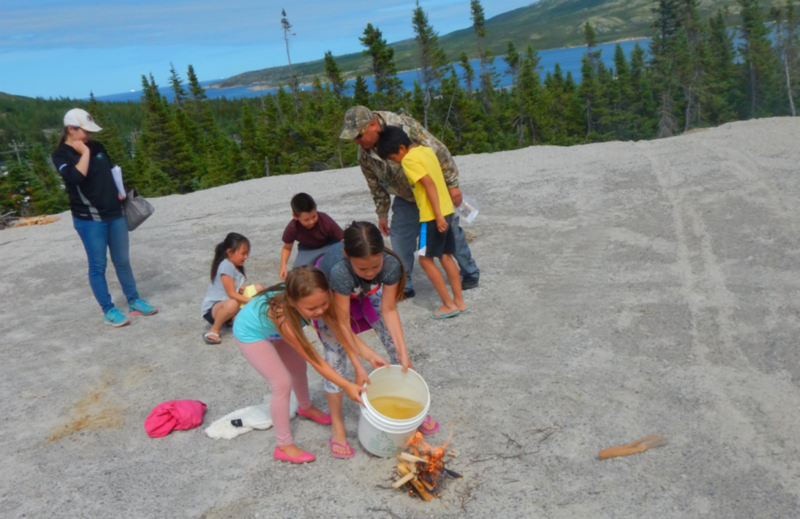 Other plant knowledge events in Makkovik during 2018 included a presentation on plants and healing at a DHSD Elders’ dinner in May, and plant stories at the Makkovik Literacy Camp in July. 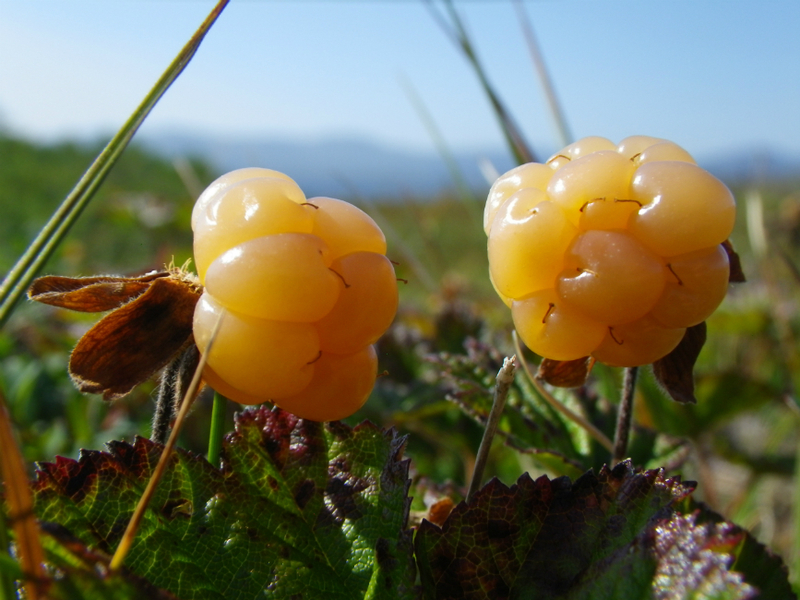 If you are interested in learning more about Labrador rhubarbs and their origins, please have a look at our Them Days article entitled “Rhubarbs of Labrador” (2018, 5-10). The offer of a home-baked rhubarb pie still stands for anyone who can point us to the earliest mention of rhubarb in the Big Land! So far, the earliest known mention is 1847. 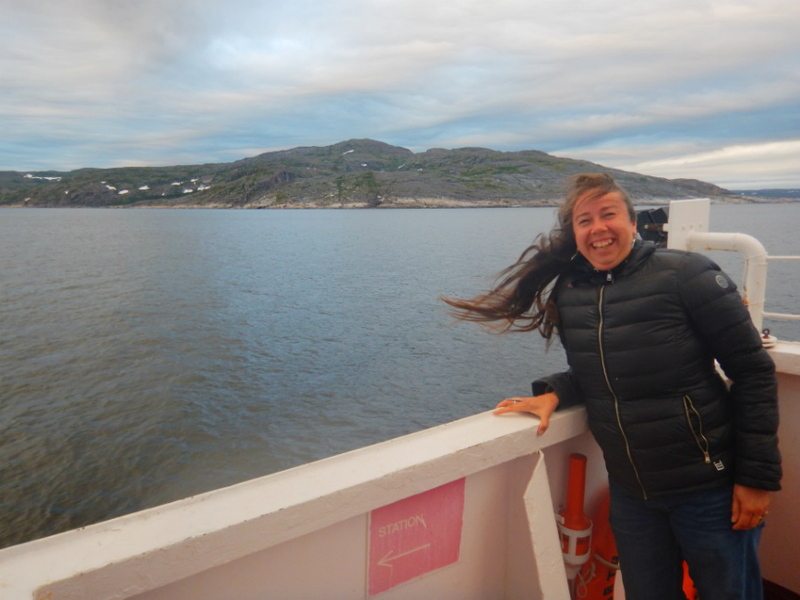 Another publication from our work is entitled, “Plants in a ‘Sea of Relationships’: Networks of Plants and Fishing in Makkovik, Nunatsiavut (Labrador, Canada)”, published by the Journal of Ethnobiology (2017). 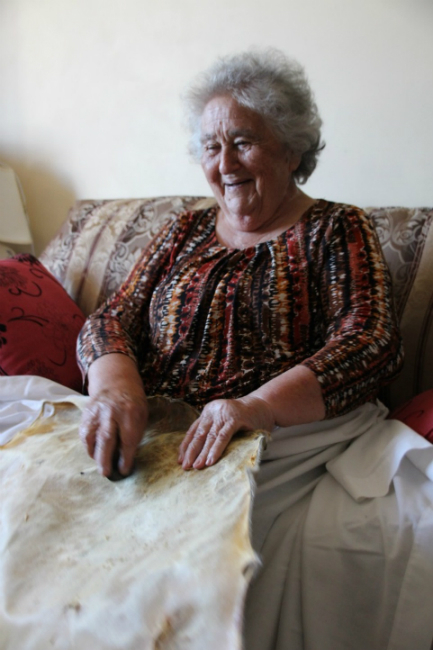 This article was co-authored by Makkovik plant mentors Elder Nellie Winters and Community Liaison Officer Carol Gear, and features Inukuluk drawings by Elder Winters. An additional peer-reviewed article on the contributions of harvesting practices to biodiversity is in submission. We are delighted to announce that plant mentor Elder Nellie Winters will have a book published in 2020 by Inhabit Media, an Inuit-owned publishing company headquartered in Iqaluit. 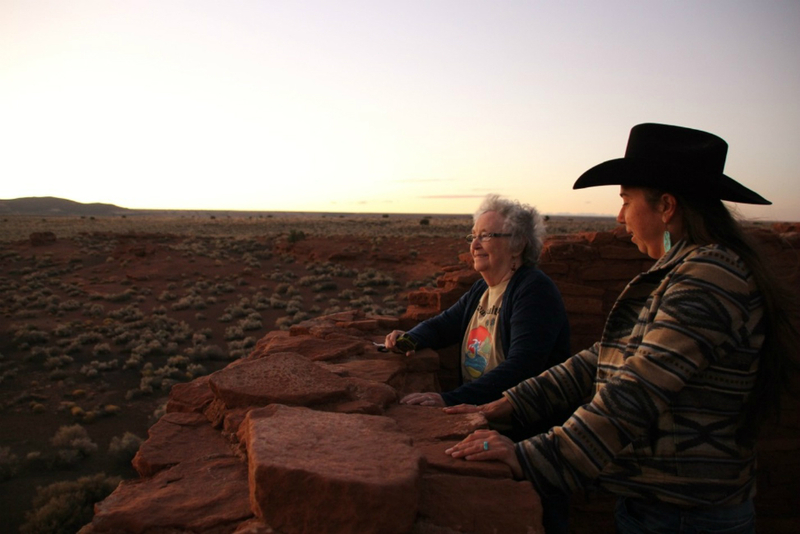 Elder Winters’ book is a memoir of her early years in Okak Bay and her experiences at residential school. The book will feature original illustrations by Elder Winters, and be published in Inuktitut and English. We are very excited for the release of this upcoming book!